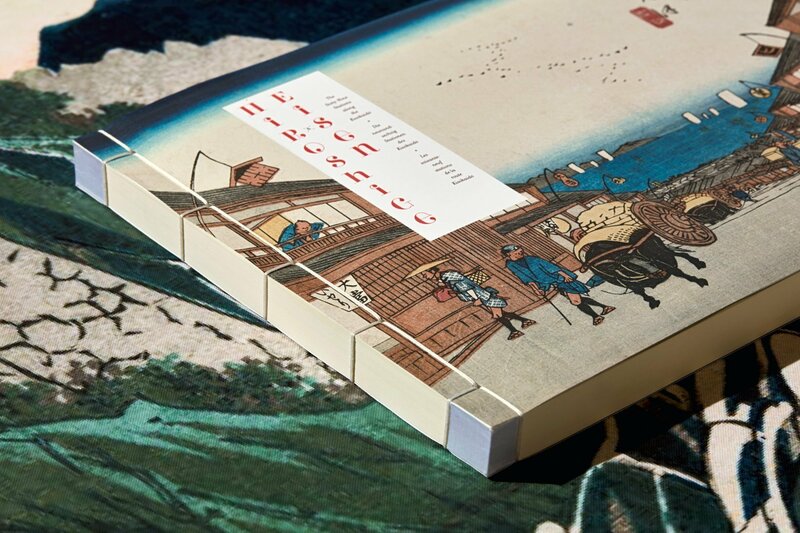 This XXL edition reprints Keisai Eisen and Utagawa Hiroshige’s legendary series The Sixty-Nine Stations along the Kisokaidō, a stunning representation of the historic route between Edo (Tokyo) and Kyoto. 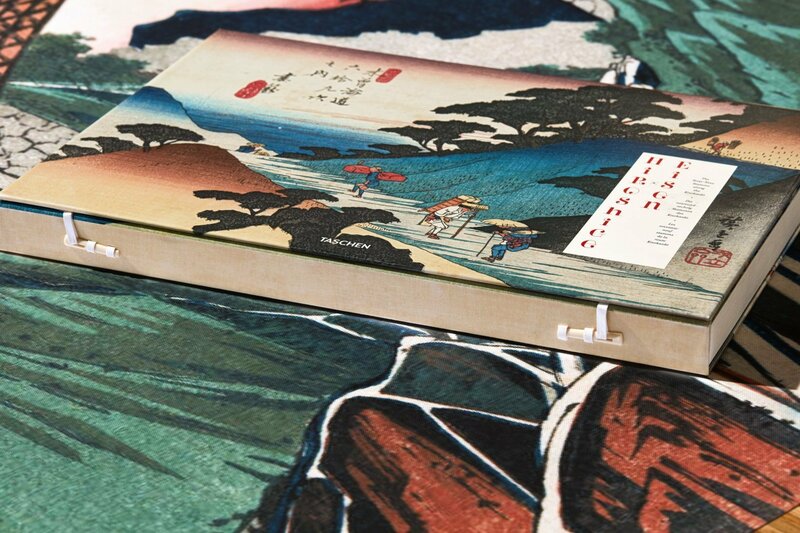 Sourced from one of the finest surviving first editions, this vivid tapestry of 19th-century Japan is in equal parts a major artifact of its imperial past and a masterwork of woodblock practice. 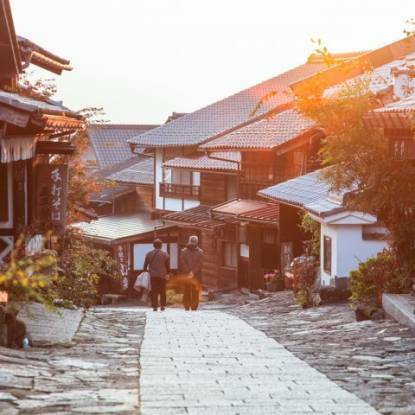 The Kisokaidō route through Japan was ordained in the early 1600s by the country’s then-ruler Tokugawa Ieyasu, who decreed that staging posts be installed along the length of the arduous passage between Edo (present-day Tokyo) and Kyoto. Inns, shops, and restaurants were established to provide sustenance and lodging to weary travelers. 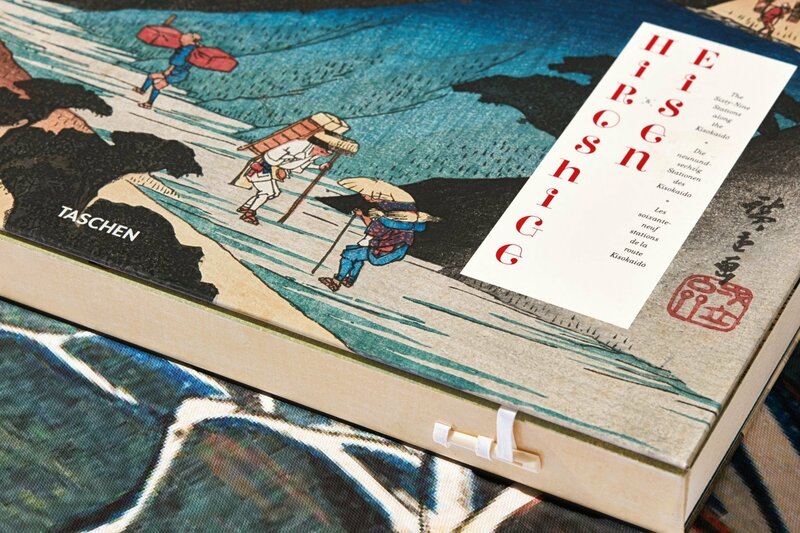 In 1835, renowned woodblock print artist Keisai Eisen was commissioned to create a series of works to chart the Kisokaidō journey. After producing 24 prints, Eisen was replaced by Utagawa Hiroshige, who completed the series of 70 prints in 1838. 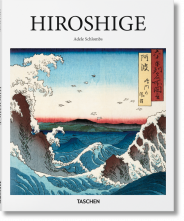 Both Eisen and Hiroshige were master print practitioners. 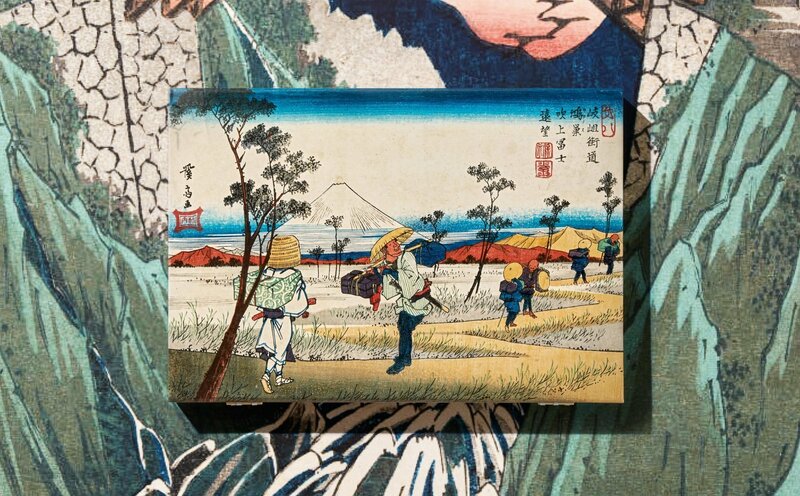 In The Sixty-Nine Stations along the Kisokaidō, we find the artists’ distinct styles as much as their shared expertise. 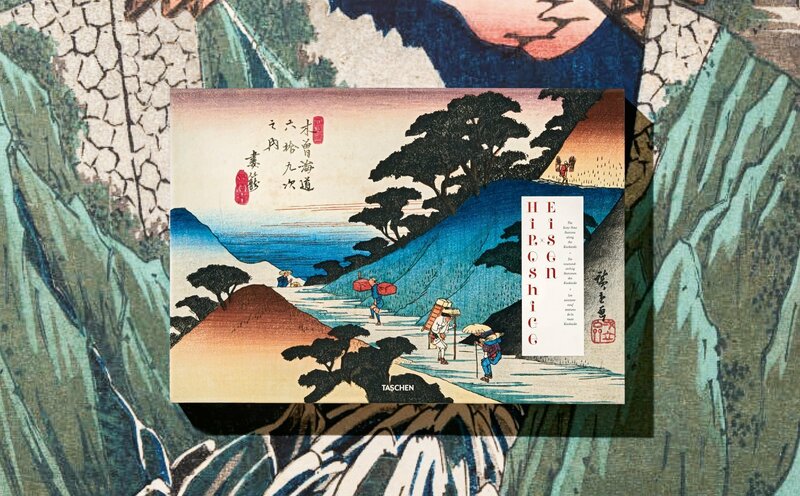 From the busy starting post of Nihonbashi to the castle town of Iwamurata, Eisen opts for a more muted palette but excels in figuration, particularly of glamorous women, and relishes snapshots of activity along the route, from shoeing a horse to winnowing rice. 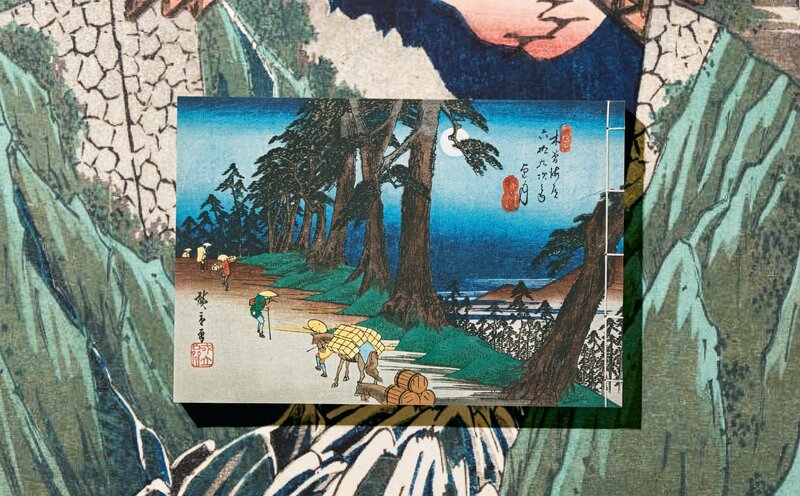 Hiroshige demonstrates his mastery of landscape with grandiose and evocative scenes, whether it’s the peaceful banks of the Ota River, the forbidding Wada Pass, or a moonlit ascent between Yawata and Mochizuki. 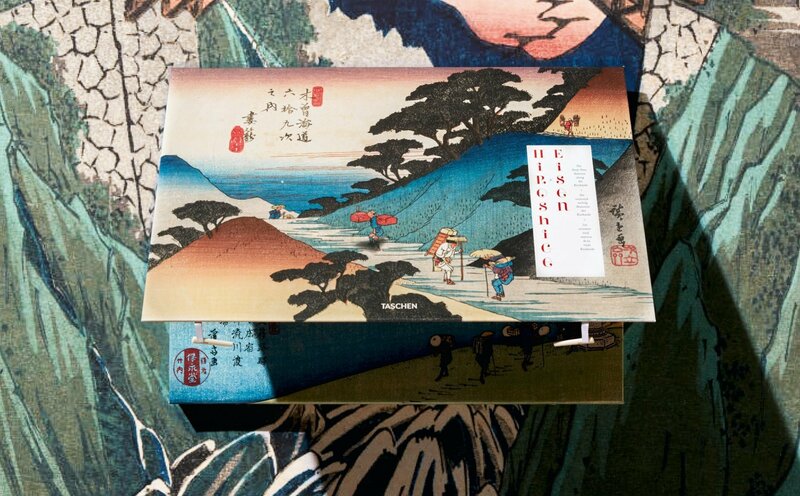 Taken as a whole, The Sixty-Nine Stations collection represents not only a masterpiece of woodblock practice, including bold compositions and an experimental use of color, but also a charming tapestry of 19th-century Japan, long before the specter of industrialization. 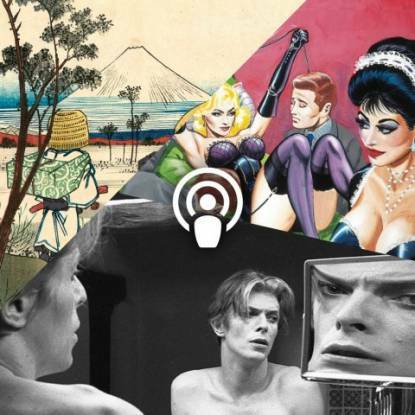 This TASCHEN XXL edition revives the series with due scale and splendor. 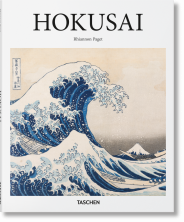 Sourced from the only-known set of a near-complete run of the first edition of the series, this legendary publication is reproduced in optimum quality, bound in the Japanese tradition and with uncut paper. 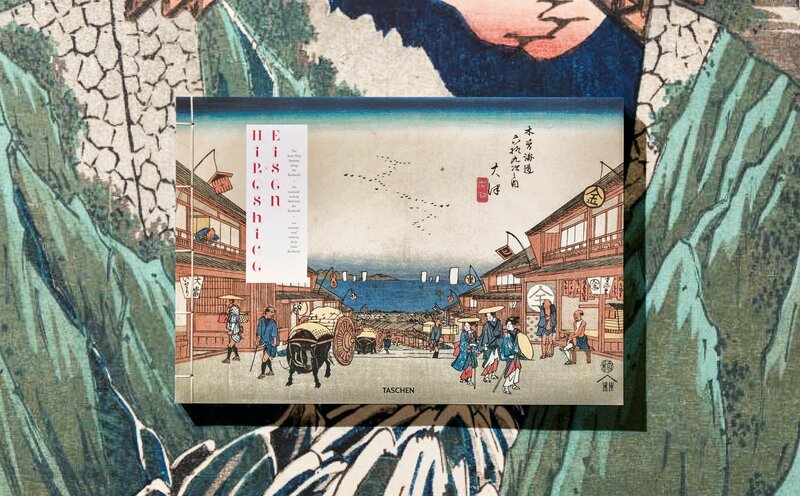 A perfect companion piece to TASCHEN’s One Hundred Famous Views of Edo, it is at once a visual delight and a major artifact from the bygone era of Imperial Japan. 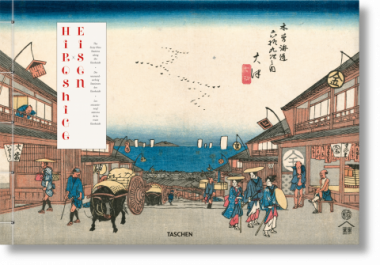 Andreas Marks studied East Asian Art History at the University of Bonn and obtained his PhD in Japanese studies from Leiden University with a thesis on 19th-century actor prints. 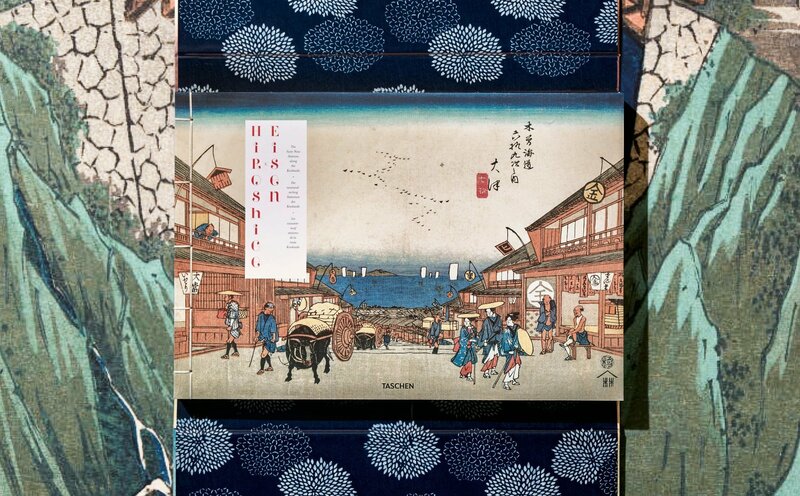 From 2008 to 2013 he was director and chief curator of the Clark Center for Japanese Art in Hanford, California, and since 2013 has been Mary Griggs Burke Curator of Japanese and Korean Art, Japanese and Korean Art Department Head, and director of the Clark Center for Japanese Art at the Minneapolis Institute of Art. Rhiannon Paget studied at Tokyo University of the Arts and received her doctorate in Japanese Art History from the University of Sydney, Australia. The curator of Asian art at the John & Mable Ringling Museum of Art in Sarasota, Florida, she has published research on Japanese woodblock prints, textiles, board games, and nihonga.